This tiny kitten pictured above was found clinging to the tyre of a truck by a kind-hearted soul who decided he just had to come to its rescue. 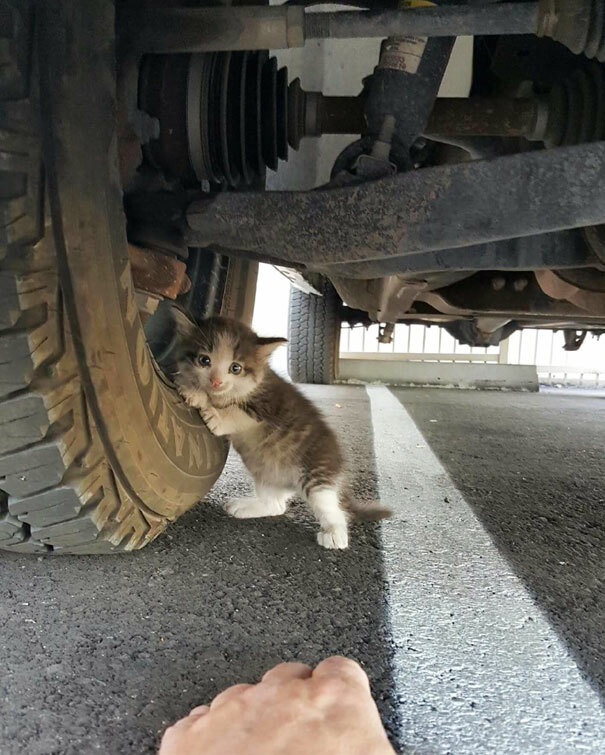 Immediately after finding the kitten, he sent the picture to his wife asking 'Can I bring it home?' His wife immediately answered: 'Who could say no to that face?' They took it to the vets where they found out the kitten was only 4-5weeks old. It's a mystery what happened to the poor kitten's mum but at least she has found a new, loving secure home to belong to – alongside her new siblings, a 19-year-old cat and 2-year-old dog.